People ask me all the time why I avoid wheat and say “what’s the big deal with gluten”? Why is it that all of a sudden gluten is getting so much press? Recently we’ve learned that gluten intolerance is the most undiagnosed disorder in the United States. For every person that is diagnosed, 80 more are undiagnosed. 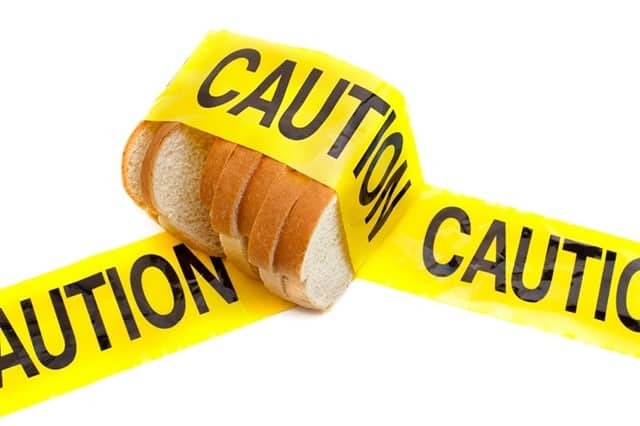 If you have an intolerance to gluten you could experience a variety of uncomfortable symptoms such as: sleep disturbance, frequent loose stools, acid reflux, irritable behavior, constipation, skin rashes, and upper airway congestion. Usually there is a family history of IBS for those who react unfavorably to wheat. So, what the heck is gluten and how do you know if a product contains it?! Gluten in the food industry refers to storage proteins found in all grains. 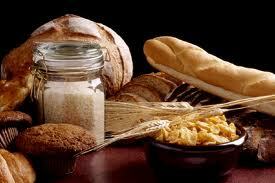 Meaning gluten is found in wheat, amaranth, barley, rye and any derivatives of the previously stated. Probably the most heard of gluten-intolerance buzz-word right now is Celiac Disease. It’s an auto-immune disease where the gluten component of wheat causes a reaction that damages the lining of the bowel wall especially in the upper small intestine. Over the past decade, going gluten-free has been touted as a way to boost health and energy, lose weight, or cope better with ADHD, autism, headaches, and other conditions.Celiac disease is on the rise, with rates doubling about every 20 years. And strangely enough, the prevalence of celiac disease is mainly present in Western countries. One hypothesis is because of our ultra-clean environments. As a result, children aren’t exposed adequately to antigens in the environment while their immune systems are developing. If the gut has not been taught to deal with antigens properly, the immune system responds toward gluten with intolerance. In contrast, celiac disease is rare in less sanitary, developing countries. Now what about simply a wheat allergy? Many people have reported that their digestion is better and stools are easier to pass simply by removing gluten from their diet. I personally was experiencing constant bloating and a constant tired feeling that never seemed to go away until I removed gluten from my diet. I don’t completely avoid it but do try not to have it. It seems to me that an easy way to check if you possess a wheat allergy is to remove all gluten from your diet for a period of 7 to 14 days. Notice the effects in your body and see how you feel. And perhaps most importantly, see how you feel once you add the gluten-containing products back in (wheat, rye, barley, etc). Luckily, because gluten-free diets are so popular now, it’s easy to find recipes online to replace your gluten-containing ones. did you know there are entire websites dedicated to gluten-free living?! Go ahead, try ditching the wheat for a couple of weeks. Most likely you’ll notice the benefits such as: more energy, passing stools more frequently, clearer skin, and so much more! Thanks for stopping by – gluten free is not easy! !